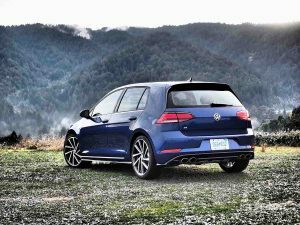 The Golf R is not a cheap date but fun dates rarely are. 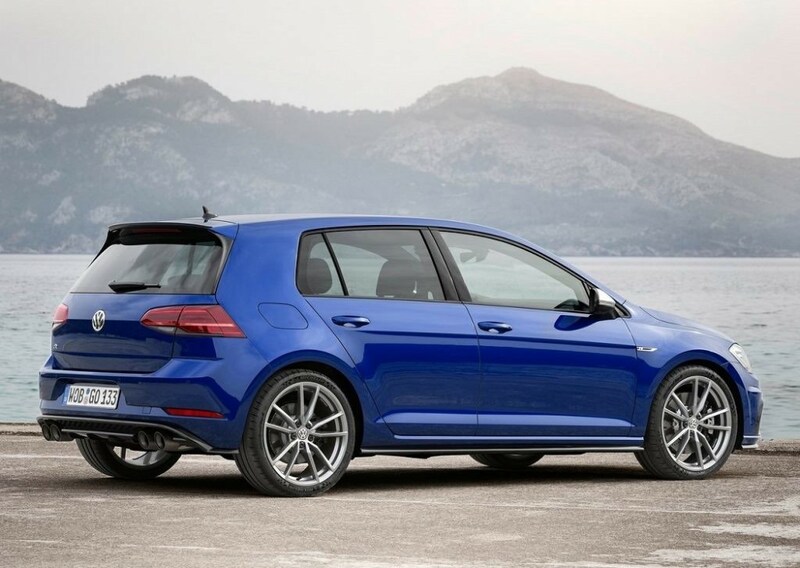 And you can have all kinds of fun in the 292 horsepower Golf R – in part because it does not look like a fun date. It looks like an ordinary one. The nice girl. It is, after all, a Golf. But it’s the R which makes it something much more – while the Golf part makes it something you can get away with making much more use of. 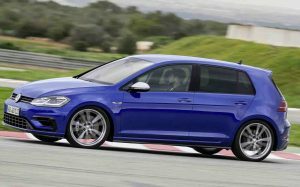 The Golf R is a very quick – and very discreet – version of the Golf five-door hatchback. Instead of the Golf’s 1.8 liter, 170 horsepower engine – a 2.0 liter, 292 horsepower engine. And zero to 60 in 4.8 seconds instead of 7.7 seconds. But in a car that still looks mostly like a Golf. Which makes it a less sweaty proposition to make regular use of those 292 hp. 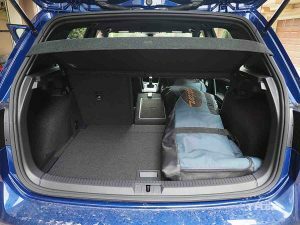 And you still get all the practicality of the Golf – including a much more usable back seat than rivals like the Ford Focus RS (and a much less brutal ride) plus 52.7 cubic feet of cargo capacity with the second row dropped and gas mileage that’s almost as the same as the regular Golf’s . . . if you can resist making use of the 292 horsepower. Plus the option to go automatic. The RS is manual-only. 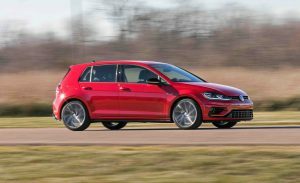 The one thing that’s very different is the price of the R – which is $39,875 to start (with the manual transmission) and $40,885 with the new automated seven-speed manual transmission vs. $20,910 for the regular Golf. But the Focus RS costs even more – $41,995 to start. Another cross-shop is the Subaru WRX STi – which costs less to start ($36,095) but it’s also a sedan-only (12 cubic foot trunk) as well as being manual-only, which means less practicality on both counts. It also drinks gas like a V8 muscle car (17 city, 22 highway vs. a much better 22 city, 29 highway for the VW) and it’s about as discreet as Sacha Baron Cohen’s latest movie. 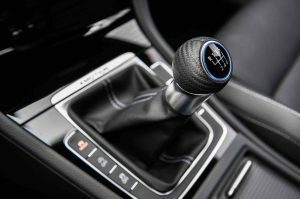 The main functional update for 2018 is the replacing of the previously optional six-speed automated manual with a new seven-speed automated manual. It makes the already very quick Golf R even quicker by tightening up the gear spacing and ups the MPGs, too. 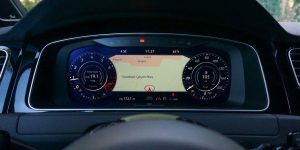 In addition there’s a new driver-configurable LCD main gauge cluster and adaptive LED headlights that turn with the steering wheel. 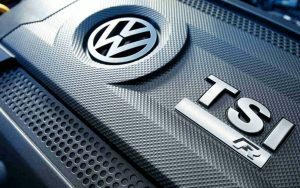 The other really big news – as Ed Sullivan used to say – is VW’s new six-year/72,000 mile full-car warranty coverage . 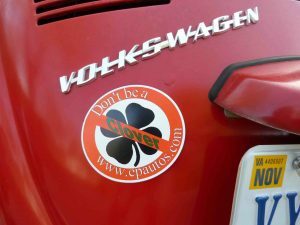 It’s one of the few good things to come out of the diesel “cheating” scandal that dragged VW’s reputation through the dirt. The R, though supercar quick, is also very easy to drive every day – and not just because it’s available with an automatic and rivals aren’t. It’s quieter, roomier – and has a much more comfortable ride. 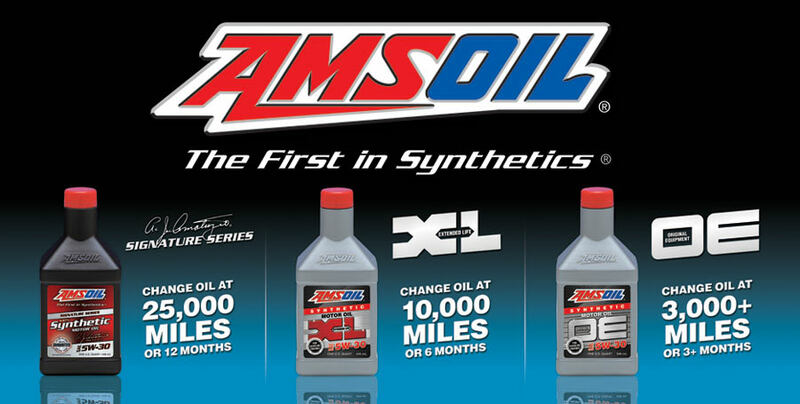 Not terrible gas mileage – and you don’t have to feed it premium gas. Costs almost as much as two regular Golfs. Pushy (and standard) Lane Assist. 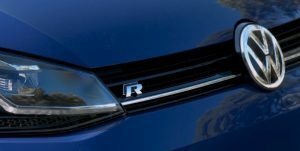 The heart of the R is a much-turbo’d version of VW’s 2.0 liter four – the same displacement engine as used in the Golf GTI but amped up to 292 horsepower and 280 ft.-lbs.of torque from 220 horsepower and 258 ft.-lbs. 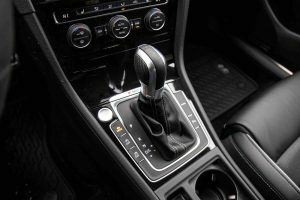 of torque – paired with a high-performance version of VW’s 4Motion all-wheel-drive system (unlike the GTI or the regular Golf, which are front-wheel-drive-only) and your pick of the previously mentioned six-speed shift-it-yourself manual transmission or the optionally available seven-speed automated manual transmission. The R is quickest – and most fuel-efficient – when configured with the Direct Shift (DSG) seven-speed automated manual, in part because it shifts more accurately (and more quickly) than a human can most of the time. Zero to 60 as above – in a smokeless (because AWD) 4.8 seconds. The R is also capable of returning 22 MPG in city driving and 29 on the highway with the DSG transmission. The shift-for-yourself version is slightly less quick – zero to 60 in about 5 flat – and slightly less fuel efficient – 21 city, 29 highway. I averaged 24.6 MPG during a week of mixed use (and heavy-footed) test driving. 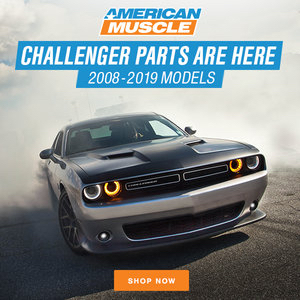 The Ford gets to 60 in 4.6 seconds – a difference of just two-tenths of a second, which is a difference you can’t feel and so tight that in a stoplight drag race, the winner will be determined by the driver as much as by horsepower. The Soobie WRX STi falls in between the two as far as horsepower and performance – with 305 horsepower from its also-turbo’d (and even larger) 2.5 liter engine, also paired with a high-performance AWD system and only with a manual transmission. It gets to 60 in 4.9 seconds. But it’s noticeably less economical to drive than either – averaging in the mid-high teens. 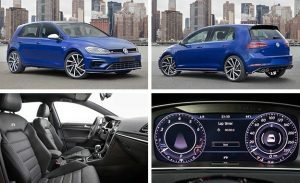 One hair in the soup: The DSG-equipped version of the Golf R includes the obnoxious automatic engine stop-start system so many other new cars come with. It’s there to help squeeeeeeze a fractional MPG gain out of the package – at least on the EPA’s fuel efficiency test cycle, which assumes a certain amount of not-moving as part of the testing. 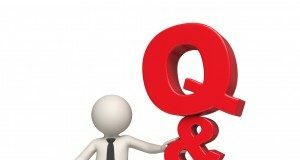 In real world driving, the gas savings advantage of auto-stop/start is negligible while the cost of more frequent starter battery replacement isn’t. Batteries that have to start an engine 10-15 times (or more) each day don’t last as long as batteries that only have to start the engine three or four times a day. Also, when the engine is off, so are accessories like the AC. And even though these systems use a “quick start” starter to make re-starts almost instantaneous, they are just that. Almost instantaneous. There is a slight but noticeable lag between engine off – and engine on. This matters in a performance car. The system can be disable by pushing a button – but you have to do it every time you go for a drive. The shift-for-yourself version does not come with the obnoxious automatic engine stop-start system – a definite perk of shifting for yourself. You will have a lot of fun in this car and you will also enjoy spending a lot of time in this car. Including times when you’re not out to have fun or just can’t – because of traffic or significant others who don’t like that kind of fun and get mad when you indulge. In the R’s main cross-shops, you can have a lot fun . . . The others are like firecrackers once you’ve lit the fuse. Explosive. But the fuse is always lit. Try that in heavy traffic – with a clutch that has almost no take-up. And your annoyed SO in the front passenger seat. Add track-day bolstered sport buckets that are great . . . on the track. Salt in an unforgiving ride and a loud exhaust. That’s the Focus RS and the STi. Cars to have fun in. Not cars to spend a lot of time in. It is an important difference. VW says the R should be cross-shopped against the BMW M240i – and maybe VW has a point. They are very different cars in many ways. The BMW is first of all a coupe and second has a six rather than a four and thirdly – it’s a BMW and so a luxury-brand car. Aber, the two also have a lot in common. Being German cars, they are both – per above – very civilized cars, as well as very high-performance cars. The Focus RS and and Soobie STi are descended from their respective manufacturers least-expensive economy cars. 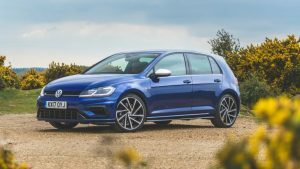 While the R is descended from the Golf, the Golf is a VW and VWs are literally related to German luxury cars (Audis) and that shows in the R’s refinement. The R will rally race with either – without jarring loose your teefus. Even when the adjustable drive mode is in Race mode. It doesn’t set off neighbor’s car alarms when you fire your car up in the morning. The exhaust is manly, but mellow. Plus no idiotic wing on the trunk nor other outward tells about what you’re up to. This is a grown-up’s supercar. Plus, the automatic. Not to harp on it overmuch, but if you have to drive in traffic a lot, every day – it gets tedious having to manually gear up and down, clutch in and out. The R gives you the option to skip that – without skipping the fun. This car – and the others – are also fun when it’s not dry. The 4Motion AWD lets you do things in the wet with confidence and aplomb which would be risky in a powerful FWD car. With good winter tires, the R would even do okay in the snow, probably. Provided it doesn’t get too deep; you only have 4.8 inches of clearance. 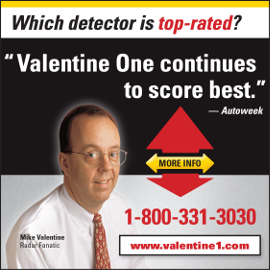 One thing that’s not fun is the standard Lane Assist system – which is more like Lane Nag. This countersteers – the steering wheel is connected to little electric motors – when it decides you are “wandering” out of your lane. Couple of issues with this. First, the painted lines in the road – which are used by the Lane Assist (via cameras in the front of the car) to orient the car in the lane – are not always painted straight. You are keeping the car in line, but the car decides otherwise, according to the inaccurately painted lines and its insolent, peremptory algorithms – and steers against you. Or, you decide to change lanes or exit your lane but don’t signal – a reasonable thing if there is no traffic nearby. But if you fail to signal, the Lane Assist assumes you are “wandering” and tries to correct you. Yes, the correction is light and can be overridden by steering in the direction you desire. 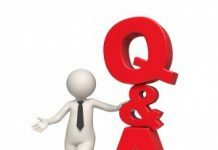 But it is aggravating – and even unsettling – to feel the car doing what it thinks you should, contrary to what you want it to do. This Lane Assist scheisse is by no means unique to the R or to VW. 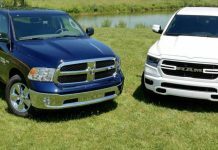 It is creeping into new cars of all types, makes and models. And it’s not optional. The idea seems to be to get people used to being automated, by bits and pieces. Which ought to be the last thing a Golf R buyer is interested in. The R is subtle – a valuable attribute in a car such as this. The basic shape is almost entirely Golf. 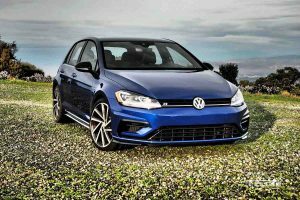 It is even subtler than the GTI – which has a contrast-color trim line in its grill that calls attention to it being something more than just another Golf. The R lacks even that small giveaway. 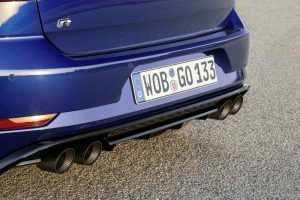 There are four rather than two exhaust tips – but they’re mounted low and tucked back and not gaudy chrome plated. The car sits lower, the tires are fatter – and those vise-grip brake calipers are awfully big. But these are noticeable tells only to the initiated. Nine out of ten people see . . . another Golf. 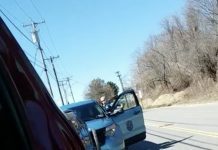 You will come to appreciate this as an owner the first time you’re driving in a pack of cars, all of you doing 53 in a 35 and there’s suddenly a cop coming the other way. The odds he’ll pick you to be the recipient of that piece of payin’ paper are much reduced vs. what they would be if you were doing the same thing in the same situation in a winged-up/scooped-up STi or Focus RS. 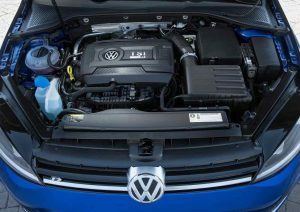 The tangibles are that the Golf R is simply the most practical of the bunch because of its five-door (and tall-roofed) hatchback layout. It has the most second row legroom – 35.6 inches as well as noticeably more second row headroom (38.1 inches) and the most cargo room (52.7 cubic feet, total) and this in spite of the fact that it also has the smallest footprint of the bunch. End to end, the R is only 168.4 inches long – vs. 172.8 for the less roomy (33.4 inches of backseat legroom; 44.8 cubic feet of total cargo capacity) Focus RS and the even less roomy WRX STi – which is 180.9 inches end to end and only has 12 cubic feet of space in its trunk and just 35 inches of backseat legroom. Another one-up the R has over its rivals is luxury car amenities – including the new Digital Cockpit and also the handsome glass-faced LCD secondary touchscreen. You can toggle up various different displays on the main cluster – an advantage over the fixed/analog gauges still used in the Focus RS and STi. It also looks higher-rent – which it should, given the R’s price. Aye, that’s the rub. Spending $40,000 on a Golf – even a very quick, very sophisticated and very practical Golf – gives a moment’s pause. But then, what else gives you what the Golf R does for the same $40k? A BMW M240i gives you similar (slightly better) performance, certainly – but two fewer doors and much less practicality and for $50,000-plus. 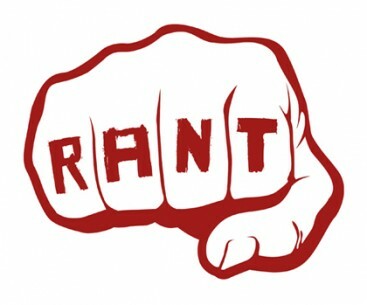 If you are hung up on the badge issue, okay – but that’s pretty stupid. The smart person bases his decision on the car. And the R is one helluva lot of that. They’ll never see you coming – or catch you, going. And that’s worth more than every penny. I will add (and you probably are already hip) that minor adjustments can pull another easy 50 hp out of these things… and then things get really interesting! These care are amazing. The entire Golf platform is simply brilliant. It is versatile as evidence that it can serve as a total thrill ride yet will not intimate your mother when you take her and the dog to the vet appointment. I have seen and driven many cars but the Golf is one of the most meticulously engineered and assembled cars available at any price. You might think $40 is a lot for something like this until you drive one. I have never seen anyone get out of an R or a GTi without brandishing a big smile. It is cheaper and more effective than therapy, you will never be bored in this car. I amend all your comments! You’re right: The Golf is exceptional. Not just the R, either. It is a cut above other cars in its class. Drive one – any one – and I think you’ll agree. I was an early adopter. I needed a car to drive from Jacksonville Florida to San Francisco in 1975. My Opel GT’s oil pump went out right before I was to leave. I went to get a beetle, but they had these here, they were so new most people had never heard of it. One drive convinced me. This car singlehandedy changes the entire automobile landscape in 1975. It wasn’t because everything was a new concept, but it blended older concepts in such an amazing the perfect complimentary ways. It has done nothing but get better from there – with the exception of the time they started making them in Pennsylvania. Somehow they Buick-ized them, and not in a contemporary sense. I’m not seeing a way to permanently disable the lane departure system. Maybe put some electrical tape over the camera lens? Know what might be a deal killer for me? From watching your video, it appears that the chin spoiler is extremely deep and low. Not that practical for a US version, where autobahns do not exist. Better to sacrifice a little extremely high speed stability for a spoiler that won’t self-destruct every time you turn into a sloped driveway. 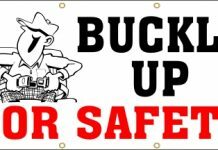 Yep, or pull into a parking spot with one of those 8″ high concrete tire stops. I can just hear the thing tearing off when you back away from the obstacle. 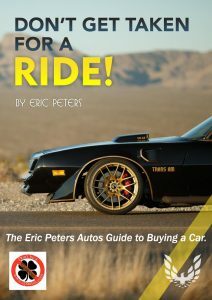 I had the same issue with my Trans-Am, which also has the chin spoiler… it’s part of the cost of doing bidness! Yep, that’s also a failing of PT Cruisers. I like my PTs but those concrete stops are always hanging up under the front spoiler. Having driven the R and all of its rivals, I would personally buy the R. The Focus RS is a fiercer car, but that’s just it – it’s like a very hot but very high-maintenance woman. The R is also hot, but not high-maintenance. And the Soobie, though fun, no longer fits me. No longer fits anyone who is over 40. You look silly in it. Plus it’s shockingly thirsty. Not that I normally give a flip about that… but I can personally attest that thing gets worse mileage than my ’76 Trans-Am 455… yes, really! 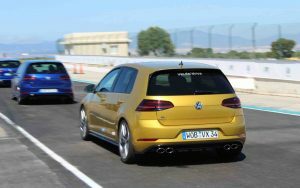 No question, among its direct competitors, I’d also buy the R.
However, the Golf that would be irresistible to me would be a GTI Wagon…..if only. I was thinking the same thing after reading this article. A GTI and/or R version of the Golf Sportwagen would be awesome to see.